A serum that claims to give you the “best of both worlds”, how perfect is that?! 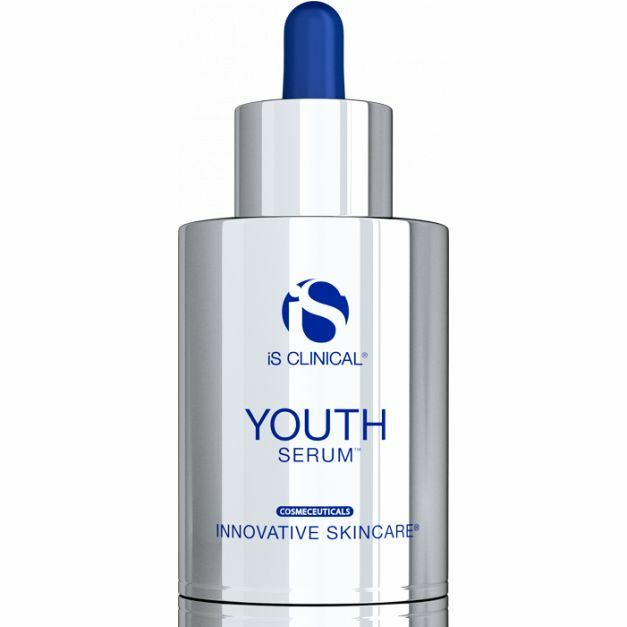 Youth Serum is designed to provide an instant smoothing and tightening effect, and long term wrinkle reduction (via collagen production). Could this Youth Serum be the fountain of youth we are all searching for? I think expecting any single skin care product to be “THE” fountain of youth, may just be setting you up for disappointment. I believe that the fountain of youth is a full comprehensive approach to anti-aging, which would include skin care products along with aesthetic treatments, healthy lifestyle, diet, excersise and what ever fits your personal beliefs towards a healthy mind and spirit. 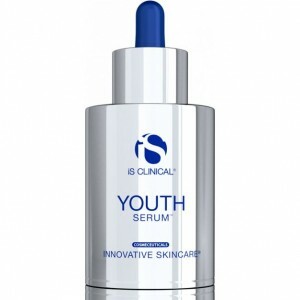 With that said, I think it is fair to say that Youth Serum is one of those things that will add to our fountain youth. This serum is appropriate for all skin types, espesially when anti-aging is a concern. As someone who works in medical esthetics, I am very interested in the role this product plays in wound healing, tissue remodeling as well as it’s anti-tumor effect and ability to protect DNA from the damaging effects of radiation. I think this product would be very beneficial for those with thin or impaired skin that may have reduced wound healing ability due to medical conditions or treatments. This serum uses intelligent proteins that target damaged sites, strengthen dermal structure, to smooth fine lines and firm skin. YOUTH SERUM’s safe, bio-identical growth factors gradually rebuild lost collagen to reduce fine lines and wrinkles long-term. The patented Extremozyme® technology, combined with a powerful blend of antioxidants, including vitamins A, C, E, and centella asiatica, encourage cellular health, provide UV photoprotection, and prevent environmental damage. The result is a more youthful, vibrant, and resilient complexion. Copper Tripeptide-1 Growth Factor – Copper Tripeptide-1 sequence is found naturally in your bodies collagen, and it stimulates the synthesis of new collagen. This is a bioidentical growth factor, which means that your body recognizes it and it can be put to use immediately. This growth factor has been shown to prevent tumors, helping to protect skin from cancer development. It stimulates collagen production, which restores the skin’s structure and smoothes wrinkles over time. Extremozymes – Think of them like “extreme” enzymes, these enzymes are harvested organisms that are able to withstand extreme conditions.These enzymes work to nuture skin and prevent free radical damage with powerful antioxidants. Clinically proven to repair and protect fragile proteins and DNA components. Intelligent Peptides & Proteins – Primarily pseudoaltermonas ferment extract, which is a glycoprotien from the Antarctic Sea. Clinically proven to adhear to damaged sites, providing targeted regeneration. Active Algae Extracts – A potent intertidal seaweed extract, that is a rich source of a rare amino acid found only in collagen – which triggers the epidermis to repair collagen loss. Asiaticoside, Asiatic Acid, & Madecassic Acid Sourced from Centella Asiatica – Efficacious antioxidants that stimulate collagen synthesis and improve microcirculation, capillary flow and vascular tone, to promote wound healing and reduction of scar tissue. Vitamin A, C & E Blend – Powerful vitamin antioxidant blend. This entry was posted on Thursday, February 26th, 2015 at 12:22 am	and is filed under Skin Care Products. You can follow any responses to this entry through the RSS 2.0 feed. You can leave a response, or trackback from your own site.